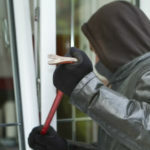 If you have experienced any kind of burglary damage, you need to call a residential locksmith immediately. At Pros On Call, we can send a locksmith out to you day or night in order to improve your home security and provide fast, reliable burglary damage repair services. Don’t wait another minute to get a lock fixed at your home. Call and we will get someone out to you ASAP. And, you can also count on us for new door installation solutions! After a robbery, the first thing to do is to contact your local police. After the police arrive and take a statement and make sure you are not in any danger, contact Pros On Call to get any damages repaired as quickly as possible. The longer your locks are not working properly, the longer your property is still at risk for further burglary attempts. And, repairing damages quickly, will help provide a renewed sense of security that you and your family deserve. Our friendly technicians make a difference! You want a locksmith who can talk to you about the various options that are available. And our licensed technicians have years of experience and are able to help make these stressful situations easier. When our emergency locksmiths come out to repair damages, this is the perfect time to discuss how you can improve your home security with a lock system upgrade. Thanks to our unparalleled lock services, we can install a wide variety of lock types for your home to ensure that thieves will think twice before trying to break into your home again. We can talk to you about new keyless entry lock systems or install new deadbolts on all your exterior doors. We can also provide expert door installation services if needed. Our main goal is to help your home be more secure! Don’t wait another minute to get a lock fixed at your home. Call and we will get someone out to you ASAP! Crime can happen when you least expect it. So it is important to protect your home with the right kinds of locks. When you want to improve your home security, call and schedule a home security audit with one of our residential locksmiths. We will walk through your home, ask questions, and provide a list of recommendations that will work with your budget. Contact Pros On Call today to request immediate burglary damage repairs or to learn more about how to keep your home as secure as possible. 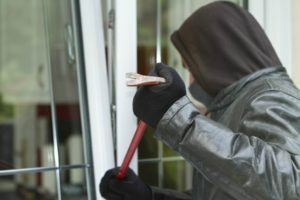 Burglary Damage Repair https://prosoncall.com/locksmith/residential/burglary-damage-repair/ 4.0/5 based upon 16 reviews.